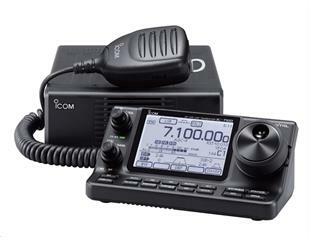 Ham Radio Outlet offers a wide variety of products in the communications industry. A very small listing is available on our Ecommerce Web Site as many of the items desired and often sold to Government agencies do not sell often in the Amateur community. We highly suggest you contact our Government Sales specialist to obtain specific information concerning your upcoming procurement(s). Our specialists can provide GSA pricing, availability and handle any and all special requirements you may have concerning your procurement(s). The following information should be used as a tool to assist ordering activities in meeting or exceeding established small business goals. It should also be used as a tool to assist in including small, small disadvantaged, and women-owned small businesses among those considered when selecting price lists for a best value determination. 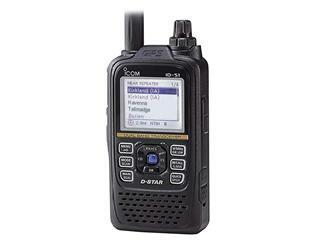 HRO, Inc. dba Ham Radio Outlet is a certified Small Business Concern having a woman-owned small business classification. We are CCR registered and WAWF trained. For orders exceeding the micro-purchase thresholds, agencies are to give preference to small business concerns when two or more items at the same delivered price will satisfy their requirement. Contractors are required to accept the Government purchase card for payments equal to or less than the micro-purchase threshold for oral or written delivery orders. Government purchase cards will be acceptable for payment above or below the micro-purchase threshold. In addition, bank account information for wire transfer payments will be shown on the invoice. The following telephone numbers can be used by ordering agencies to obtain technical and/or ordering assistance: Phone: (800) 444-4799 or via Fax (703) 494-3679. The Contractor shall not be liable for any injury to Government personnel or damage to Government property arising from the use of equipment maintained by the Contractor, unless such injury or damage is due to the fault or negligence of the Contractor. 4b. Contractor has registered with the Central Contractor Registration Database. Expedited delivery: Next day and second day delivery available for in-stock products (customer pays freight). b. URGENT REQUIREMENTS: When the Federal Supply Schedule contract delivery period does not meet the bona fide urgent delivery requirements of an ordering agency, agencies are encouraged, if time permits, to contact the Contractor for the purpose of obtaining accelerated delivery. The Contractor shall replay to the inquiry within 3 workdays after receipt. (Telephonic replies shall be confirmed by the Contractor in writing.) If the Contractor offers an accelerated delivery time acceptable to the ordering agency, any order (s) placed pursuant to the agreed upon accelerated delivery time frame shall be delivered within this shorter delivery time and in accordance with all other terms and conditions of the contract. 7. Discounts: Prices shown are NET Prices; Basic Discounts have been deducted. Prompt Payment: NONE - NET 30 days from receipt of invoice or date of acceptance, whichever is later. Quantity - No quantity discount offered. Dollar Volume - No Dollar Volume discount offered. Government Educational Institutions - GEI's are offered the same discount as all other Government Customers. Export Packing is available and shall be as specified/negotiated in any order. The minimum dollar value of orders to be issued is $ NO MINIMUM. The maximum dollar value of orders to be issued is $ NO MAXIMUM. In the event security requirements are necessary, the ordering activities may incorporate, in their delivery orders, a security clause in accordance with current laws, regulations, and individual agency policy; however, the burden of administering the security requirements shall be with the ordering agency. If any costs are incurred as a result of the inclusion of security requirements, such costs will not exceed ten percent (10%) or $100,000, of the total dollar value of the order, whichever is lesser. For administrative convenience, open market (non-contract) items may be added to a Federal Supply Schedule Blanket Purchase Agreement (BPA) or an individual order, provided that the items are clearly labeled as such on the order, all applicable regulations have been followed, and price reasonableness has been determined by the ordering activity for the open market (non-contract) items. Technical representations and/or warranties of products concerning performance, total system performance and/or configuration, physical, design and/or functional characteristics and capabilities of a product/equipment/ service/software package submitted in response to requirements which result in orders under this schedule contract. Any representations and/or warranties concerning the products made in any literature, description, drawings and/or specifications furnished by the Contractor. b. The above is not intended to encompass items not currently covered by the GSA Schedule contract. Defective product returns are handled by the manufacturer and returns of defective product would be directly to the manufacturer. 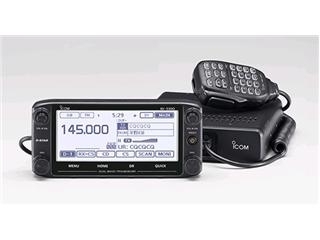 Ham Radio Outlet error - Returns must be requested within 30 days from date of invoice. 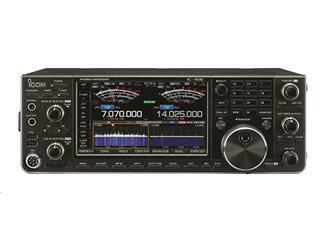 Pre-approval from Ham Radio Outlet customer support is required. Government error - must be requested within 30 days from date of invoice. 15% re-stock fee applies. 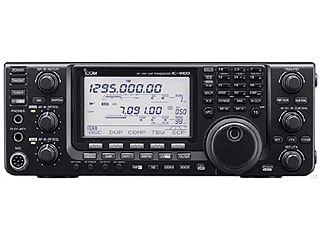 Pre-approval from Ham Radio Outlet customer support is required. Upon request of the Contractor, the Government may provide the Contractor with logistics support, as available, in accordance with all applicable Government regulations. Such Government support will be provided on a reimbursable basis, and will only be provided to the Contractor's technical personnel whose services are exclusively required for the fulfillment of the terms and conditions of this contract. a. As used in this clause, "Year 2000 compliant" means, with respect to information technology, that the information technology accurately processes date/time data (including, but not limited to, calculating, comparing and sequencing) from, into, and between the twentieth and twenty-first centuries, and the years 1999 and 2000, and leap year calculations, to the extent that other information technology used in combination with the information technology being acquired, properly exchanges date/time data with it. b.The Contractor shall warrant that each hardware, software, and firmware product delivered under this contract shall be able to accurately process date time data (including, but not limited to, calculating, comparing, and sequencing) from, into, and between the twentieth and twenty-first centuries, including leap year calculations, when used in accordance with the product documentation provided by the Contractor, provided that all products (e.g. 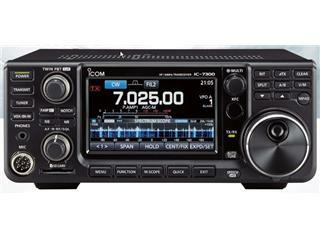 hardware, software, firmware) used in combination with products properly exchange date time data with it. If the contract requires that specific listed products must perform as a system in accordance with the foregoing warranty, then that warranty shall apply to those products as a system. The duration of this warranty and the remedies available under this warranty shall include repair or replacement of any product whose non-compliance is discovered and made known to the Contractor in writing within ninety (90) days after acceptance (installation is considered acceptance). The Contractor may offer an extended warranty to the Government to include repair or replacement of any product whose non-compliance is discovered and made known to the Contractor in writing at any time prior to June 1, 2000, or for a period of 6 months following acceptance (installation is considered acceptance) whichever is later. Nothing in this warranty shall be construed to limit any rights or remedies the Government may otherwise have under this contract with respect to defects other than Year 2000 performance. "BPAs may be established with Federal Supply Schedule Contractors, if not inconsistent with the terms of the applicable schedule contract." Federal Supply Schedule contracts contain BPA provisions to enable schedule users to maximize their administrative and purchasing savings. This feature permits schedule users to set up "accounts" with Schedule Contractors to fill recurring requirements. These accounts establish a period for the BPA and generally address issues such as the frequency of ordering and invoicing, authorized callers, discounts, delivery locations and times. Agencies may qualify for the best quantity/volume discounts available under the contract, based on the potential volume of business that may be generated through such an agreement, regardless of the size of the individual orders. In addition, agencies may be able to secure a discount higher than that available in the contract based on the aggregate volume of business possible under a BPA. Finally, Contractors may be open to a progressive type of discounting where the discount would increase once the sales accumulated under the BPA reach certain prescribed levels. Use of a BPA may be particularly useful with the new Maximum Order feature. See the Suggested Format, contained in this Schedule Price list, for customers to consider when using this purchasing tool. Federal Supply Schedule Contractors may use "Contractor Team Arrangements" (see FAR 9.6) to provide solutions when responding to a customer agency requirements. The policy and procedures outlined in this part will provide more flexibility and allow innovative acquisition methods when using the Federal Supply Schedules. See the additional information regarding Contractor Team Arrangements in this Schedule Price list.